As was found in our previous article, 30 seconds per muscle is optimal and frequency of 3-7 times per week is recommended. Follow stretches 1 through 14 in the image above. Follow stretches 15 through 25 in the image above. It’s good to be thorough, as you could get overconfident if you stretch only some muscles and then pull one that you didn’t stretch. Luckily 30 seconds is the optimal stretching time, so it doesn’t take very long to stretch either your upper body, or your lower body, or your whole body. My personal improvement from this stretching time and frequency was an 8cm improvement in toe-touch reach in 1 month of calf and hamstring stretching. So you can have significant improvements in 1 month, or even greater improvements in 3+ months. 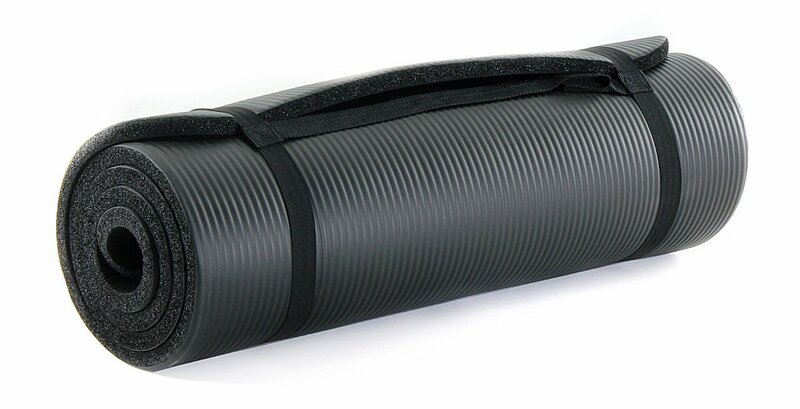 A good yoga mat is recommended to avoid pain from the floor while stretching. Being comfortable will help you to relax into the stretch for maximum improvements. 2 Responses to "Whole Body Stretching Routine"
I enjoyed this website very much. My teacher is making us do a handbook about all the different types of stretching. I used this sight for all of my stretches believe it or not. This way I didn’t have to keep looking for examples all over the internet. It was all here in one page. This is the BEST guide so far! All the other websites only offer like 6 stretches! This guide gives you so many!! Thank you Sports Science!